Provide transportation to medical and other health-related appointments to persons served by Goodwill of the Finger Lakes. Support the mission and values of Goodwill of the Finger Lakes. All volunteers must be sensitive to the needs of individuals who are blind or visually impaired. Driver training will take place in conjunction with the Give-A-Lift Program at Lifespan. 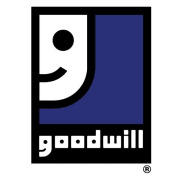 Volunteers will be required to take part in specific training at Goodwill of the Finger Lakes. High school diploma or General Education Degree (GED). Valid driver’s license. The physical demands described here are presentative of those that must be met by the volunteer to successfully perform the assignment. While performing the assignment of Driver Volunteer, the volunteer must be able to regularly and openly communicate with the individual and members of the department. The volunteer will occasionally be required to stand, walk, and sit. The volunteer may occasionally assist the individual in and out of the vehicle and/or to and from appointments on foot.